Today we set out to find the Chesapeake and Ohio Canal’s starting point. 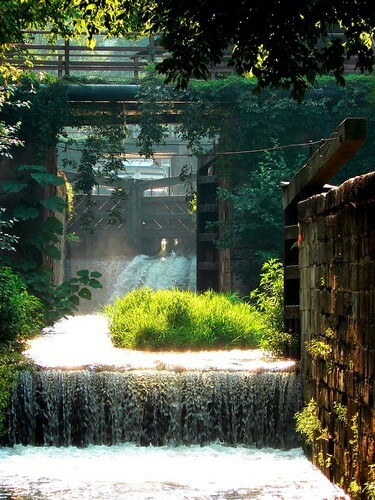 This picture is looking through Lock 1 and Lock 2. The Georgetown canal boat is in the beyond the North gate of Lock 2.